There is something particularly special about twins. Things that families without twins or triplets - or more - often take for granted or will never quite understand, especially in those early years. Multiple Birth Associations are often super important to provide that additional information for those new to the multiples world, but also the connections that can be made with other families in the same situation. Welcome to playgroup with the twins! 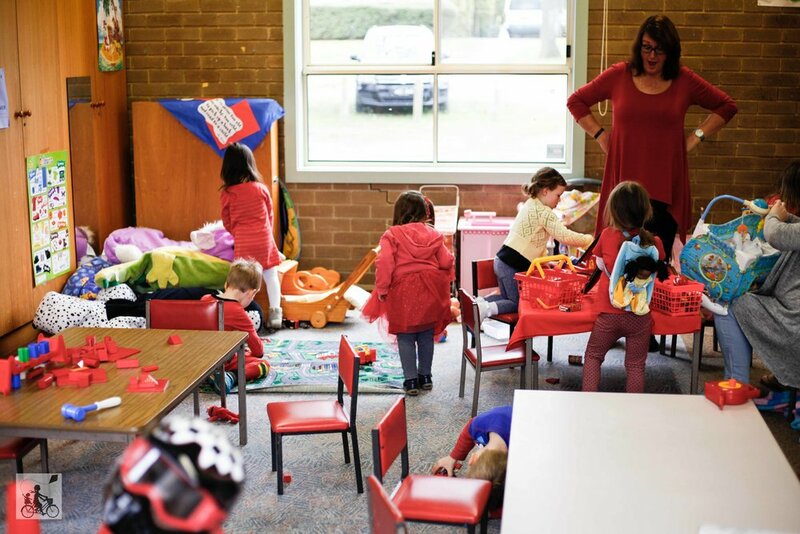 The Knox Multiple Birth Association Rostered Playgrouprun a playgroup for a small number of 2 to 4 year olds and is a fully supervised program from team leader Sharon. Parents are rostered on to assist supervise the fun and whilst the other parents receive some respite once a week. And a huge amount of fun does happen here! 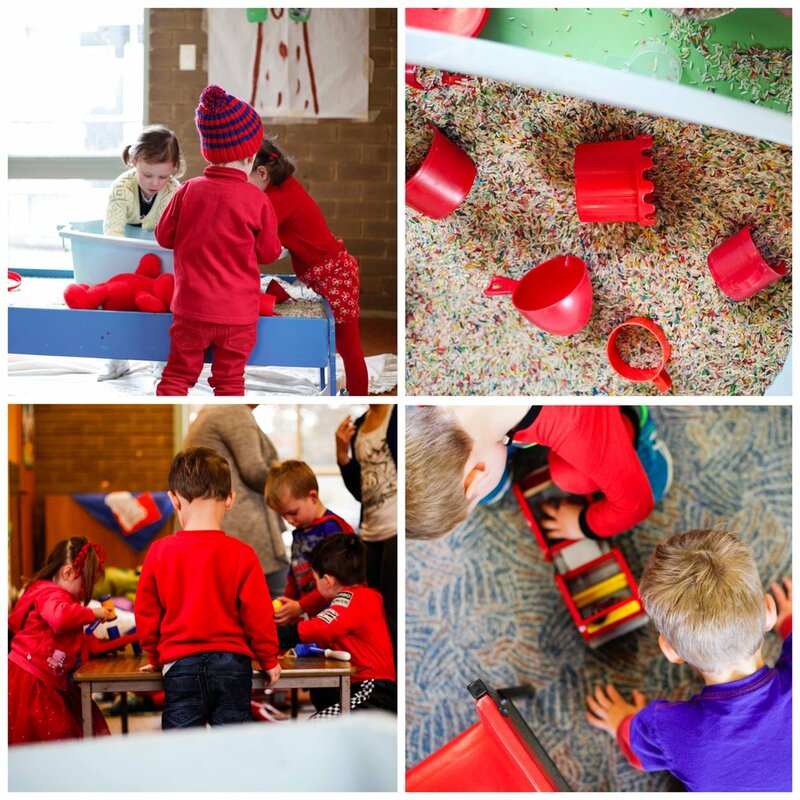 Activity points are set up in a purposefully equipped playroom with fine motor rice tubs, building blocks, craft tables and an imaginary corner. 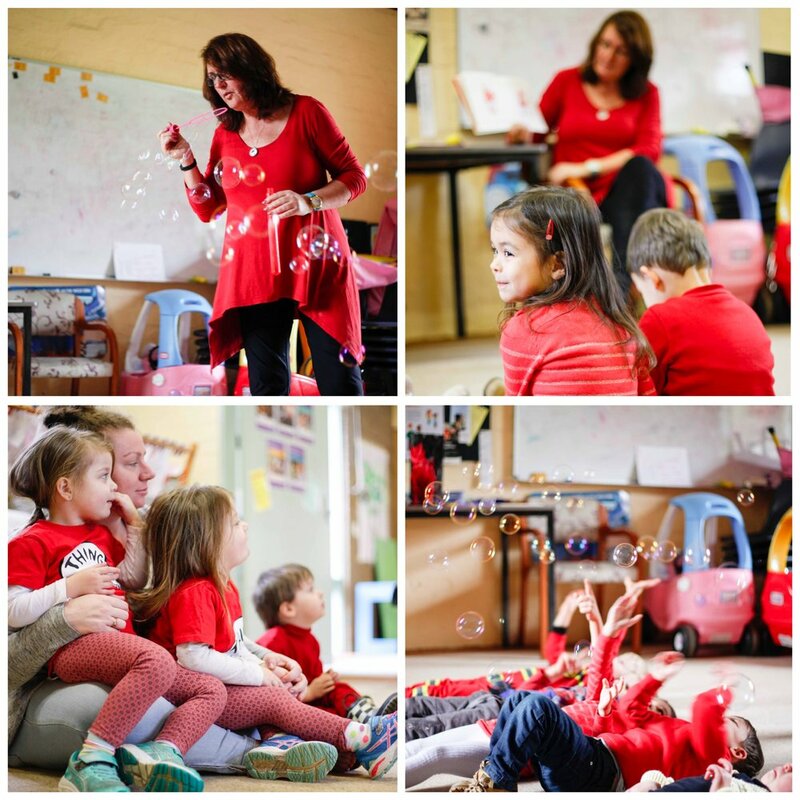 We happened to visit on a special Red Day, where all the activities had a ruby red twist! There was bubble time, some stories read and some songs sung! After snack, we headed to the hall next door for some ball games and lots and lots of running. It was super special watching these children interact with one an other and how naturally these siblings would keep an eye out for one another or sit together during the quieter moments. Mamma's special mentions: This playgroup is unique and part of the local multiple birth association. If you are a family of multiples, search your local groups here via your postcode and see if they have any playgroups available in your area.